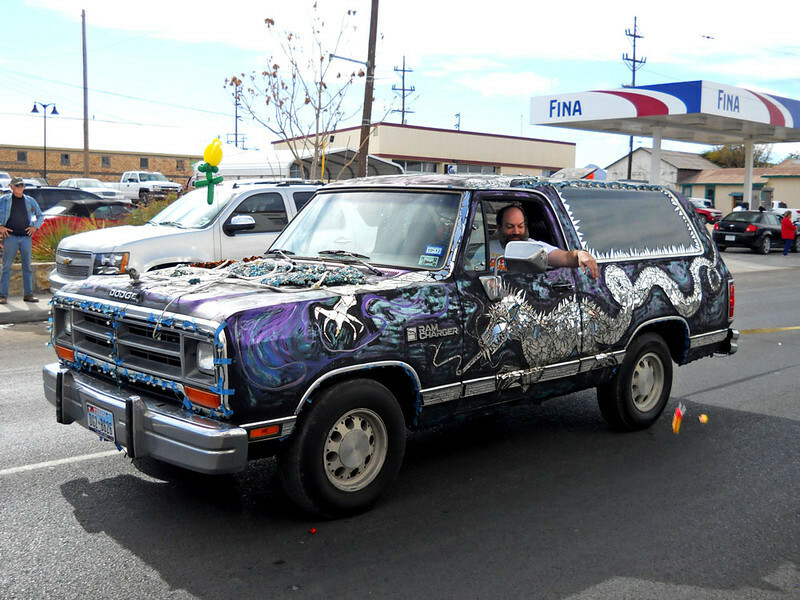 This glittering art car just didn't come off well in still photos. The dragon on the side is made of pieces of mirror. It was really nice.